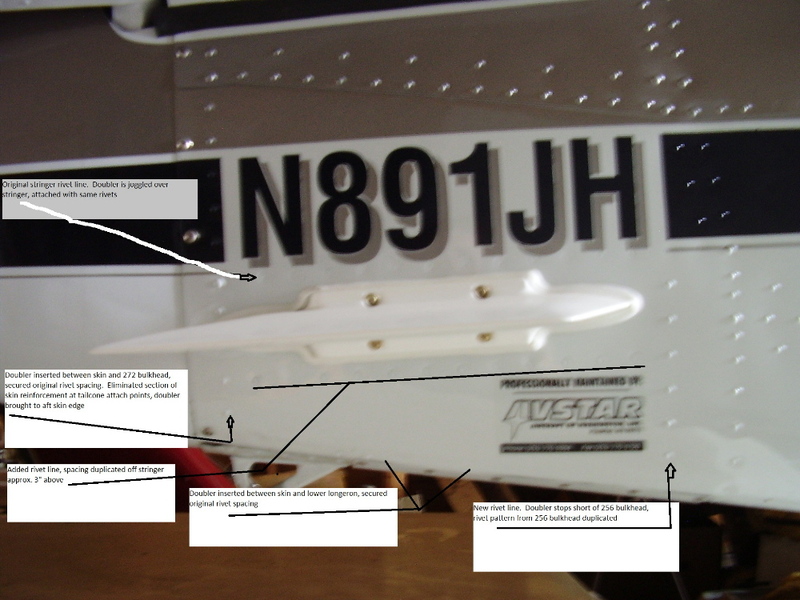 Antenna installation & doubler | AVSTAR Aircraft of Washington, Inc.
Dorne and Margolin antenna installation? I am working with a customer that wishes to install the Dorne & Margolin N4-17 VOR Glideslope antenna. I have been talking with the local FAA about the installation that Robert Siegfried has shown on the Bonanza.org and they are wanting to get a DER involved as to approved data. Looking at the last entry on the post (editor's note: referencing forum thread from bonanza.org) you mentioned you had installed these antennas in the past and am wondering if you have a description available for the installation of doublers without the cross bracing available. This was done, as others in the past - whether D&M or Comant antennas - by log book entry only. Our local feds are constantly changing how they desire paperwork on the avionics themselves, but the antennas are pretty clear. As 43.13 discusses antenna (and doubler) installations, this is good information. However, don't confuse the idea that if it came from 43.13 it has to be 'major'. Elementary operations: Probably the only gray area; what is elementary for a 30+ year sheet metal man is not for a green A&P. I look at this as a minor alteration, log book entry only. Do not simply install a scab of aluminum as a large area washer; think it out, tie it in to structure, I recommend one increment thicker than the skin, that data is in the skin plating diagram in the Shop Manual. Appreciate the response. On your doubler do you catch the stringer or do you stay inside the stringers on bulkhead. Could you give me an idea of the size of your doubler? Attached photo with comments inserted. Apologize for the quality of the photo; I took it this afternoon and on my way back from storage hangar to office I dropped the camera, so taking another and using it is, unfortunately, out of the question until I replace some optics. But, it should give you the general idea.